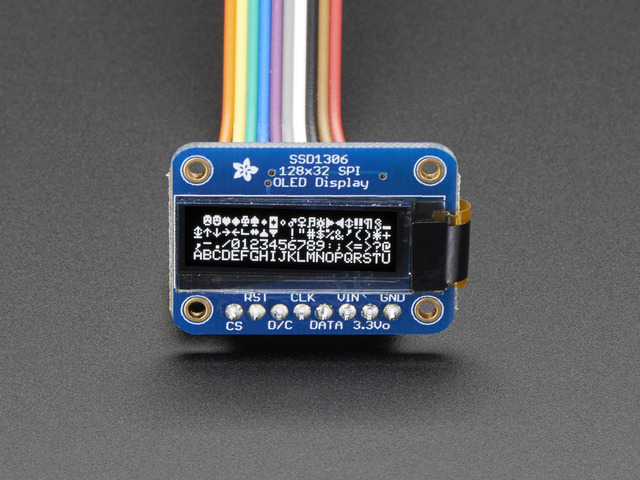 Here is how to use an Adafruit monochrome OLED display with your Raspberry Pi. What can I say? Good things come in small packages! OLED graphic displays are awesome... And it is a well known fact that the smaller they are, the more awesome they become! Adafruit stock a whole host of small monochrome OLED displays and in this tutorial I am going to show you how you can get one working with your Raspberry Pi. 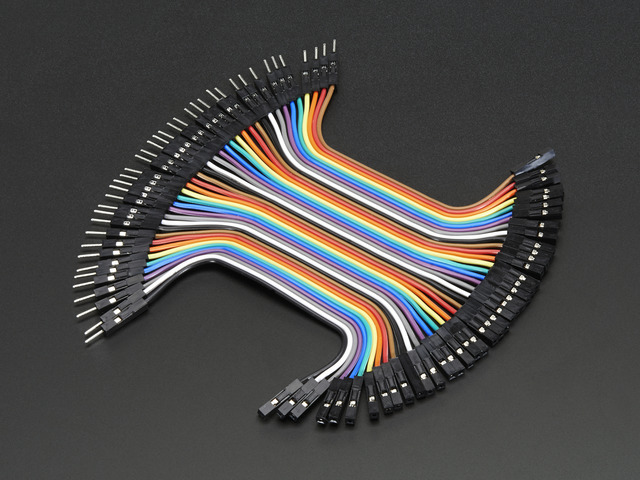 This guide will cover everything from wiring up your display... To programming it in Python. By the end of this tutorial you will be able to make your OLED display do a number of things. You will understand how to print text to it and then use that to show the internal IP address of your Pi. You will also be able to turn your OLED into a scrolling clock that alternates between the date and the time. Finally you will be able to take any image and, through some clever Python code, show it on your display. Before we get started I am just going to tell you a bit about OLED displays and the benefits of using them. One of the great things about these Adafruit OLEDs is that they are graphic displays... This means that they are not limited to text; you can display all sorts of cool images and games as well (Just take a look below). This is perfect because it really opens up the the variation of projects that you can do. Also these OLEDs have very high resolutions and are very legible, no matter what light you are in. Believe me when I say that 128x64 pixels in a 1" space is plenty: the display looks stunning! Another benefit of using an OLED display is that they are very low power. This is because the pixels only consume electricity when they are on - so the more black you are showing on your display the less electricity it will be using. Because of this low power usage we will not even need an external power supply - we can simply plug it in to our Pi's 3.3v pin. This guide was first published on Jan 03, 2014. It was last updated on Jan 03, 2014. This page (Introduction) was last updated on Apr 23, 2019. Exercise your right to skip songs in the office!